Focused Family Time Is Priceless! Families are the social structure that allows civilization to thrive. The family is the place where children are introduced to language, love and living. Focused family time is a valuable tool to promote childhood development, learning, socioemotional development, and even behavior! Join us to explore how to create more Focused Family Time That is Worth a Million! Family Time is the opportunity for parents to teach valuable social skills and promote great communication! 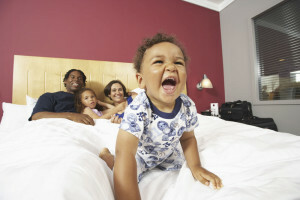 What are some of the benefits of Focused Family Time? Overcome behavior problems, promote healthy child development, and resolve family challenges like sibling rivalry. Create balance in traditional, non-traditional, and single parent families. Even establish good will in struggling blended families. Whether parents realize it or not, children are like little computers tracking everything their parents say and do. The way parents treat others, treat one another, and treat their children all help to determine the behavior and respect of their children. Focused Family Time is a valuable tool that allows parents to demonstrate high quality family social interaction. When parents value Focused Family Time; as a resource of the family, children learn to value quality time together, which is the first step in creating an Awesome Family Experience. During Focused Family Time, parents are able to gently guide children to use better social and interactive skills with other family members. Parents can nudge a child to say ‘thank you’ or ask ‘how was your day, Mommy?’. When siblings bicker, parents can gently suggest ways to resolve the conflict and get back to a place of respect. Focused Family Time becomes like a social switchboard that allows parents to evaluate, direct, and promote healthy social development of all the children int he family. Finding and maintaining supportive relationships is an art form, as many parents know too well. When children suffer from bullying, teasing, and infidelity by their friends and classmates, parents feel the pain. Creating awesome relationships among all the members of the family is the best way to teach children about what a valuable relationship looks like and how to maintain it. Parents can encourage their children to discuss friendship issues during family time, so all family members can learn and contribute to the process. Overtime, children from highly stable families with ample Focused Family Time are likely to develop excellent skills for choosing worthwhile friends and romantic partners, and they are more likely to be able to maintain those valuable relationships. When is time to start holding Focused Family Time? As soon as the first child enters the picture! Infants are able to detect social conflict from as early as 9 months of age! So parents must remember to demonstrate excellent relationship and communication skills with others from the beginning. Parents can expect their relationship, communication, and parenting skills to grow with their family just as children’s capacities will evolve over time, I this way, the parents and family members work together in a cooperative manner to create an awesome family environment that proves to be a fertile soil in which to grow roots of family, relationship, love and respect. Parent Blog.org is sponsored by The Orchard Human Services, Inc. a 501(c)3 nonprofit organization. 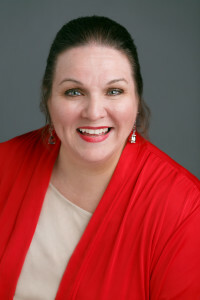 Darleen Claire specializes in Attachment Focused Parenting & Intervention; Effective Parenting Strategies; Academic Support for Students with Exceptionalities (Gifted & Talented and Special Needs); and Making Families Work (including traditional, single parent, nontraditional, and homeschool families). Music promotes social development, healthy attachment, and emotional development of young children!